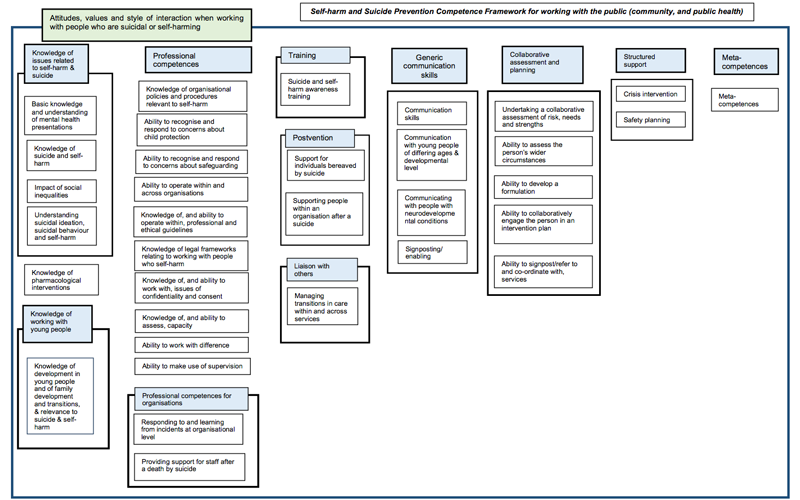 Welcome to the competence framework for self-harm and suicide prevention. This site gives open access to the framework, including background documentation that explains how it was developed, what it contains, and how it can be used. The framework describes the various activities that need to be brought together to support people who self-harm and/or are suicidal. It is not intended to prescribe what should be done, rather it makes suggestions about best practice in the light of our current knowledge of the effectiveness of approaches and interventions. considers the ways in which the framework can be applied. The primary audience for this documentation will be clinicians, trainers, clinical managers and commissioners of services, but service users and carers may also find the documents useful. A separate guide written specifically for service users and carers describes the frameworks and outlines the care they can expect. 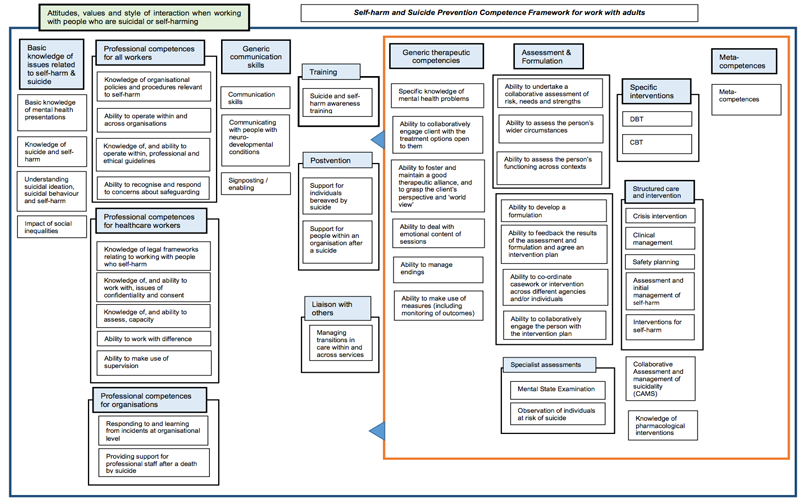 What does the competence framework mean for my care? 1. You can download them from the map of competences (which you can access by clicking the mages below). 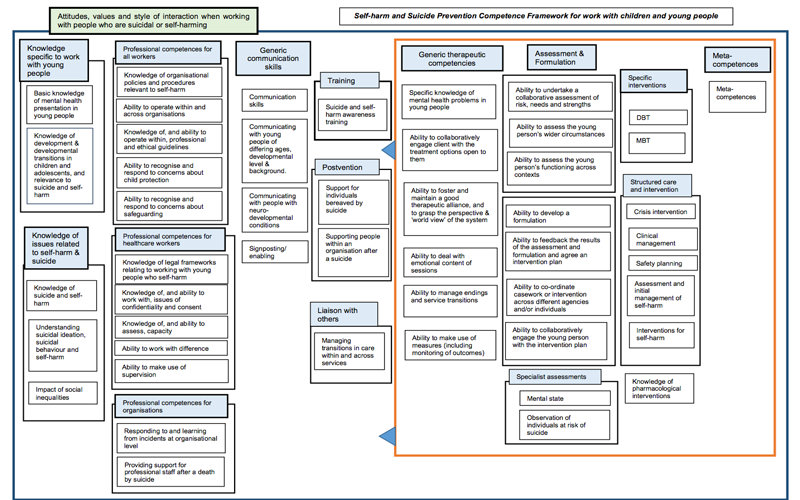 The maps set out the ‘architecture’ of each framework - the ways in which the competences relate to each other. Placing the cursor over any of the boxes in the map takes you to the competences, so to see the competences associated with a specific activity, just click on the relevant box.